Niagara Recycling is the only Materials Recovery Facility (MRF) in Ontario that produces an end product from a recyclable material – Niagara Ecoglass™. 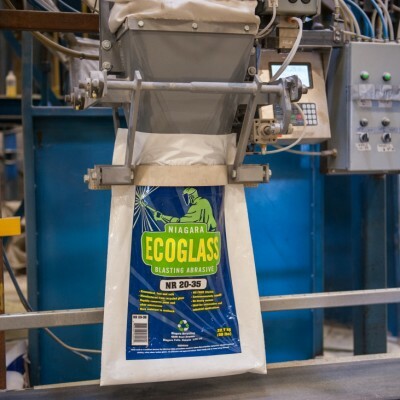 Ecoglass™ is created through an innovative process of cleaning, grinding, drying, screening and packaging glass that is received through the blue box collection program. 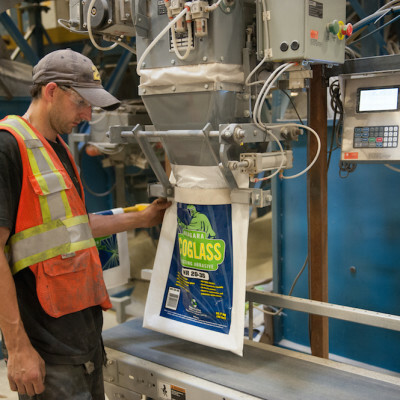 This process allows Niagara Recycling to produce three sizes of Ecoglass™: 20-35, 35-60 and 60-80. 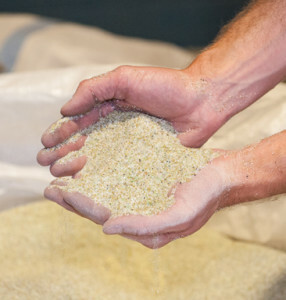 Niagara Ecoglass™ is sold across Ontario and Quebec in 50 lb bags or 3,000 lb supersacs. 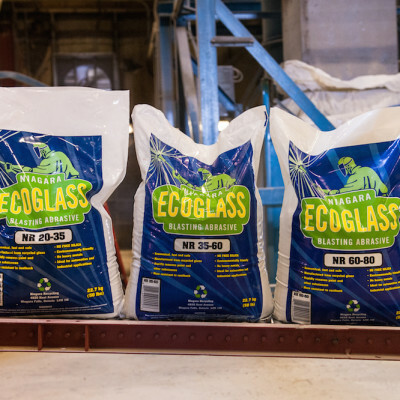 Ecoglass™ is used most commonly for sandblasting but can also be used for landscaping applications. Contact us for details regarding this new and innovative product.